Got a question about sewing? A general question about a sewing technique, how to adapt a pattern, where to find a particular fabric, pattern, notion or piece of sewing equipment? Or just want to chat with others interested in sewing? 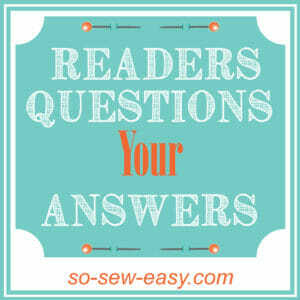 Ask the So Sew Easy readers! This site gets visited by thousands of keen sewers every month, and the wealth of sewing knowledge – well, you could fill a library with what they all know. If you're looking for advice or haven't been able to find a solution to your sewing dilemma – ask the readers. There is a new FORUM coming to the site soon so the old-style Readers Questions is currently suspended. If you want to pop on over and check it out while it is still in testing, add in your questions and give it a try – you are welcome. Trouble downloading, opening or printing sewing patterns? 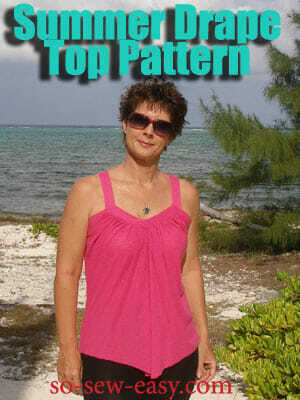 Try this article first – How to download and print PDF sewing patterns.